In earlier posts, we have described how in 1847 St. Paul’s rector, William Ingraham Kip, proposed building two mission chapels, and how those plans failed. 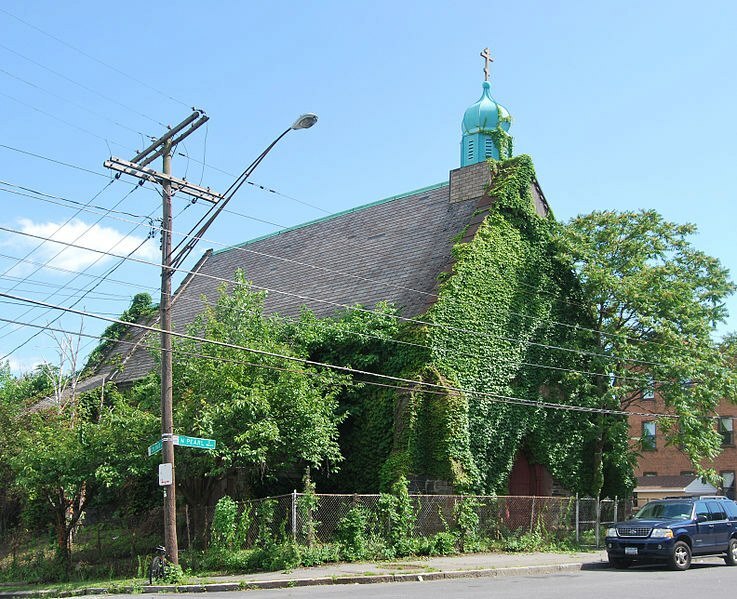 Our senior warden, William H. DeWitt, then offered to fund the construction of a chapel of ease for St. Paul’s, to be known as the Chapel of the Holy Innocents, and located in Albany’s North End. 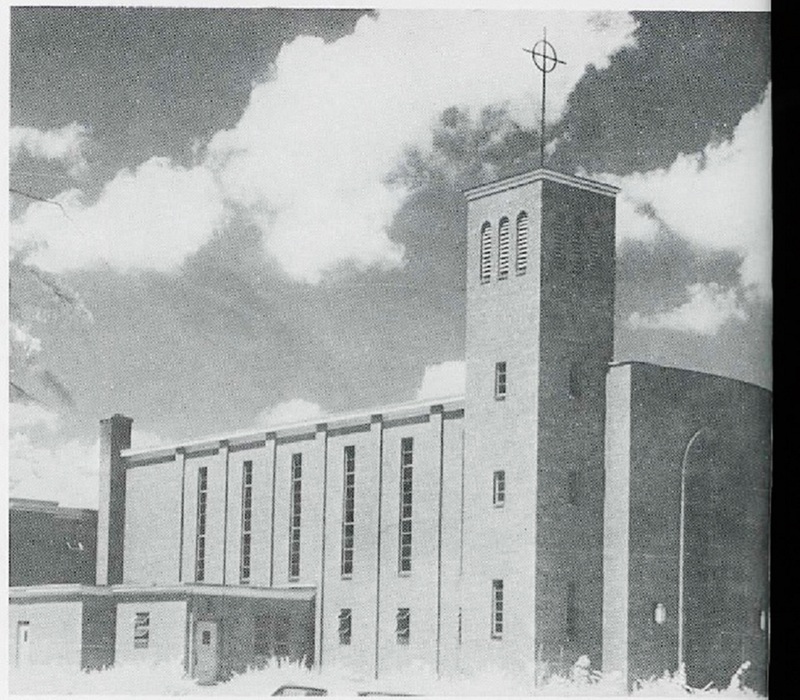 As the building was being constructed, DeWitt changed course, resigned as St. Paul’s senior warden and formed Holy Innocents as a separate parish. When it came time to consecrate the new building, Kip (along with the rectors of Albany’s Grace Church and Trinity Church) formally protested the consecration, and the ceremony proceeded only when certain changes were made to the church deed and Kip withdrew his protest. A letter, held in the archives of the Diocese of Maryland, has now added substantially to our understanding of the grounds of the protest, the resolution of the dispute, and the matter’s aftermath. Kip wrote it on August 6, 1851 and addressed it to Bishop William Rollinson Whittingham, who had ruled on the protest and conducted the consecration. Kip explains his protest and the reasons that he withdrew it. More important, he describes the ill will that was continuing between him and DeWitt a year after Holy Innocent’s consecration. And he asks the bishop, whom he in later years would refer to as an “old friend,”[i] a very large favor. Given the long history of Kip and DeWitt’s relationship, we could guess that that this was a very personal dispute. They had worked together at St. Paul’s from 1837 until 1850. These were difficult years for St. Paul’s, and Kip and DeWitt as rector and senior warden, respectively, for that entire period worked together closely. It was through their collaboration that the parish recovered from bankruptcy and achieved financial stability. During the early, lean years, DeWitt was also St. Paul’s major financial contributor. DeWitt, for his part, was frustrated in his expectation of control over a chapel for which he had paid every expense, and promised to support forever. DeWitt must have felt that, having paid for the cost of both real estate and the building itself, he had the right to make it his own family church, after the model of Troy’s Church of the Holy Cross, which had been fully funded by Mary Warren and her family in 1844. We have suspected, then, for some time that there must have been hard feelings, but did not learn until we saw this letter how the dispute had played out in the months and years after Holy Innocent’s consecration. We do not know DeWitt’s side, but Kip’s letter to Whittingham describes his view of this personal aspect of the dispute. Kip’s purpose in writing was to ask Whittingham to confirm that DeWitt was wrong on all of these counts, by writing a letter affirming that the bishop had supported the protest and continued with the consecration only after two substantial changes to the deed. Kip asks that Whittingham put these in writing “in a letter of a single page” that he could show to those who believe DeWitt’s claims. Finally, Kip asks Whittingham for his advice: would it be proper for Kip to present this matter to DeWitt’s rector, Sylvanus Reed, “demanding that he [DeWitt] be debarred from communion until he shall make proper reparation.” Kip does not mention the fact, but Whittingham may well have known that Kip was Sylvanus Reed’s mentor. Reed was the son of a St. Paul’s vestryman, had been brought up at St. Paul’s, and had been supported for ordination by Kip and St. Paul’s vestry. Whittingham would have known that a demand from Kip would certainly have been obeyed by the young Mr. Reed. Bishop Whittingham’s outgoing correspondence, sadly, has not survived. We will never know whether Kip asked Sylvanus Reed to withhold communion from William H. DeWitt. Nor do we know if Whittingham wrote the letter that Kip asked of him, and (if he did) how it might have affected Kip and DeWitt’s relationship. If that outcome is unclear, it is more certain that failure of the mission chapel and DeWitt’s campaign of slander had an effect on William Ingraham Kip. Although he continued as rector of St. Paul’s for two additional years, his acceptance of election as missionary bishop of California may have been encouraged by the simmering conflict over the chapel of ease that never was. And the controversy may have affected Whittingham view of Kip’s situation as well. As we have discussed before, he was the diocesan bishop of Maryland, acting here while the Diocese of New York had no bishop. Shortly after the discussion about the position in San Francisco, Kip was offered the rectorship in St. Peter’s Church, Baltimore, in Whittingham’s home diocese. Kip told his old friend Whittingham that he would not accept that call, but that he was tempted by the possibility of the position in San Francisco. Whittingham told him, “You must go to California, but not as a Presbyter! You must go out in another capacity.”[vii] It was the next year (1853), with backing from Whittingham and others, that Kip was elected missionary bishop of California, and left St. Paul’s Church. [i] Wm. Ingraham Kip, The Early Days of My Episcopate (New York: Thomas Whittaker, 1892), 2, 7. [iv] Letter dated 20 Jul 1850 from the wardens and vestry of St. Paul’s Church to William Ingraham Kip. Held in St. Paul’s church archives. The ground of the opposition was, the nature of the reservations to the donors, and their heirs, and it was alleged that the deed of conveyance had been altered from the form in which it had been drawn up by Mr. J. C. Spencer, and assented to, as satisfactory, on the first opening of the church. The allegation was unfounded. The deed was made out in the office of J. V. L. Pruyn, Esq., and is a verbatim copy of the original draft made by Mr. J. C. Spencer, and admitted by him to contain nothing which could prevent the consecration. The Bishop received the protest; but on a conference with the donors, the right of nomination to the rectorship was limited (as by the release above), when he determined on proceeding. [vi] Kip, Early Days, 1-2. [vii] Kip, Early Days, 2. This entry was posted in Free Chapels, Wm. Ingraham Kip on October 26, 2017 by Paul Nance. 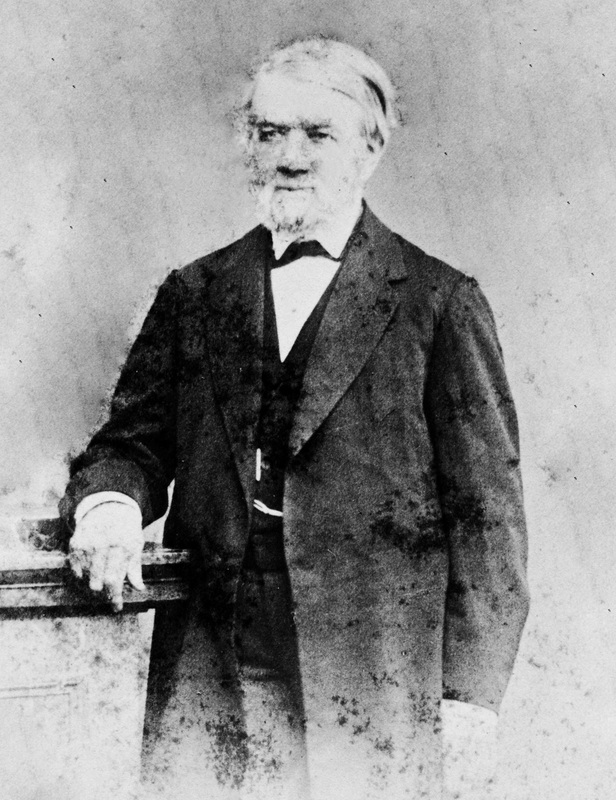 William Ingraham Kip’s year-long medical leave (1844-1845) worked well for him and for the people of St. Paul’s: he returned in good health, and spent another eight years as our rector. Today’s post is the story of his successor’s medical leave, which ended badly and precipitated a crisis that almost destroyed the congregation. 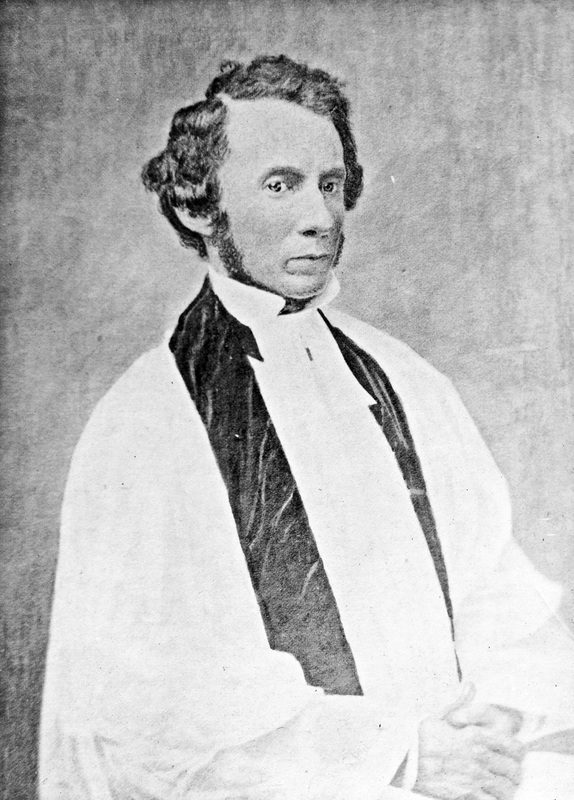 When Kip resigned in December 1853, the vestry named as his successor Thomas Alfred Starkey, then the rector of Christ Church, in Troy, New York. Starkey arrived in February 1854. Fourteen months later, in April 1855, Starkey submitted his resignation because of ill health. He withdrew it “at the urgent request of the congregation.”[i] Then again, three years later, in April 1858, Starkey submitted his resignation because of ill health. This time, the vestry offered him a six-month leave of absence. Starkey accepted, and traveled to Europe. Previous histories end the narrative neatly, if not happily: Starkey returns from his leave in early October 1858, announces that his health is still fragile and again submits his resignation. The vestry reluctantly accepts the resignation, and a few months later announces the call of the new rector, William Rudder. This is the account given in a 1877 sketch of the congregation’s history[ii], and followed by all historical essays since that time. The vestry minutes support this version, containing only their offer of a leave of absence, followed by his resignation in November. We have Brethern (sic) been at peace among ourselves. There has been no party strife within our borders, even among the exciting times which for some years marked our church; but Pastor and People have been in one mind in all that concerns the welfare and progress of the Church. It is to this that we owe our prosperity and Oh remember Brethern (sic) that so it must always be, if you would not decline and relapse into feebleness. The fuller story of Starkey’s resignation is omitted from all church sources, but it was considered newsworthy by the popular press, allowing us to piece it together from newspaper accounts. The first article comes from the Albany Morning Express of October 26, 1858. We may never know which “high church notions” were so vigorously debated (the now-archaic sense of canvassed.) The first option is that they refer to elaborate ritual practice, such as sung services, incense, sanctus bells and chasubles. In this period, however, the high church party was only beginning to be influenced by ritualism. Even twenty years later, when ritualism had spread widely, it was written that Starkey “is inclined to High Church views, but is not a ritualist in the broad sense of that term.”[viii] Starkey may however have been following ritual practices that would not surprise us at all, but that were then highly controversial. Many of these related to treating the communion table as an altar: by placing a cloth or flowers on it, or by using candles during daylight services. Another practice much debated was that of the celebrant turning to the communion table while reading the communion service, with his back to the congregation. 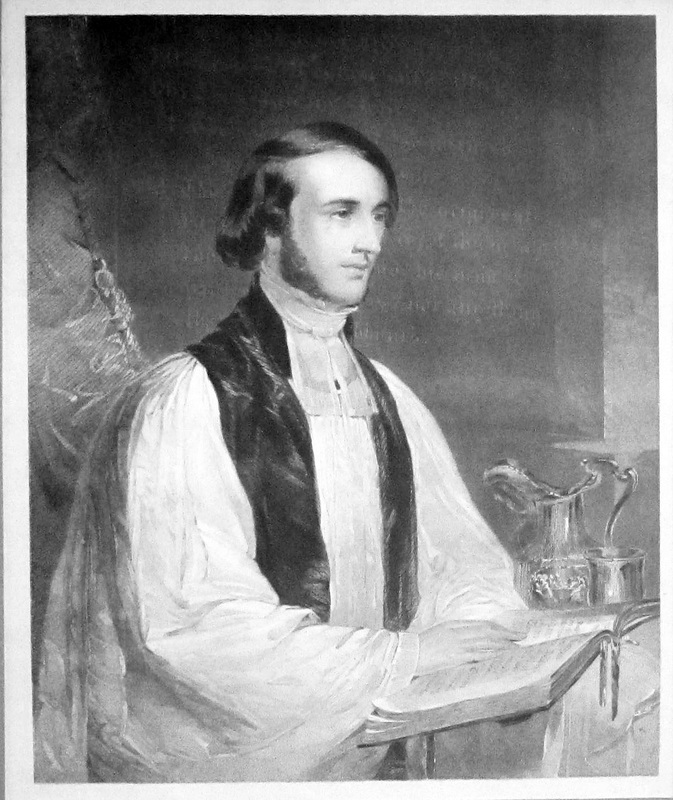 The Book of Common Prayer directed that the minister stand at the liturgical north end of the altar (to the left, from the congregation’s point of view) during the service, as Kip is shown doing in the 1847 portrait by William Tolman Carlton. A second possibility is that these notions were theological, and related to one of the most contentious disputes of the time: the relative weight to be given to justification by faith as contrasted with baptismal regeneration. And a third possibility is the notions had to do with social outreach. The only activity during his rectorship that Starkey described in in his 1877 sermon was a social ministry, the establishment of St. Paul’s Church Home, a home for “homeless and aged women” [ix]. Social ministry was an interest of the high church faction in both England the United States, but not of the old-style Hobartian high churchman. Starkey tells us that the Home did not survive his departure, suggesting that the ministry was not supported by the congregation. William Rudder had been engaged as an interim in June to preach until August 1, 1858; in August, that contract was extended until December 1. During this period, Rudder was assisted by Starkey’s curate, Frederick P. Winne. The Rudder faction made their feelings known publicly. An undated newspaper clipping reports the gift on November 10, 1858 of a portable communion set service by “some of the congregation, who had listened with pleasure and profit to his impressive discourse.” A letter from the fourteen men is quoted, as is Rudder’s response. The fourteen include only one vestryman, Edward E. Kendrick, the cashier of the Bank of Albany. Interestingly, they also include four employees of the Bank of Albany, two of them Kendrick’s sons. This impasse was resolved during April 1859. That month, there was a major turnover in St. Paul’s vestry, with only one warden and three vestrymen reelected. Among the three continuing vestrymen was Edward E. Kendrick (a member of the Rudder faction that gave the communion service), who was elected junior warden. It is likely that Kendrick and the other three who were returned were the four who had voted for Rudder in December. The congregation also elected six brand-new vestrymen. On April 30, 1859, William Rudder was called as rector; he accepted the call in May, and became rector on June 1, 1859. St. Paul’s had somehow been able to find a way through this crisis, with no sign of a major defection by the Starkey faction. Provided with a supportive vestry, Rudder was able to serve as rector until 1863. While Starkey’s Church Home for Women did not continue, Rudder did initiate a successful ministry to the deaf, and shepherded the congregation through the financial crisis of 1862 and the decision to move to Lancaster Street. [i] “Our City Churches – IV. St. Paul’s (Episcopal) – J. Livingston Reese, Pastor,” Albany Evening Journal, January 28, 1871. 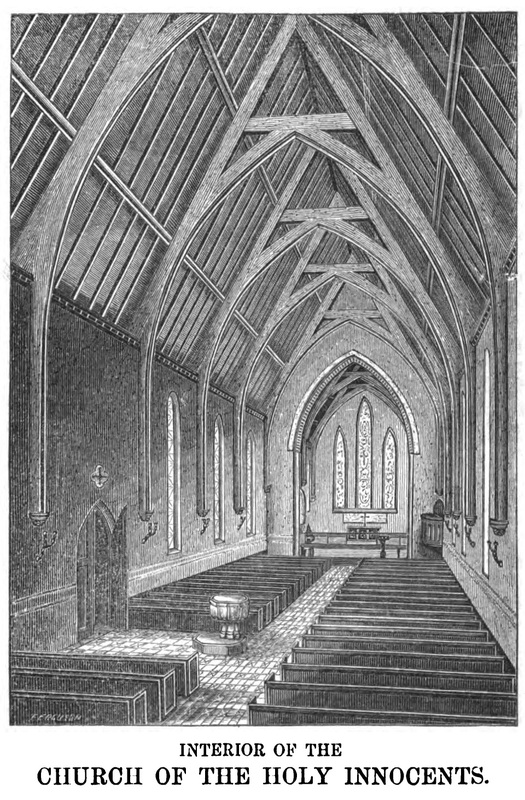 [ii] “Historical Sketch of St. Paul’s Parish: From a Sermon by the Rector,” pages 9-17 of The Semi-centennial Service of St. Paul’s Church (Albany: The Argus Press, 1877), 14. [iii] William Ingraham Kip, The Double Witness of the Church (New York: D. Appleton, 1844), x. [vi] “Resignation of the Rev. 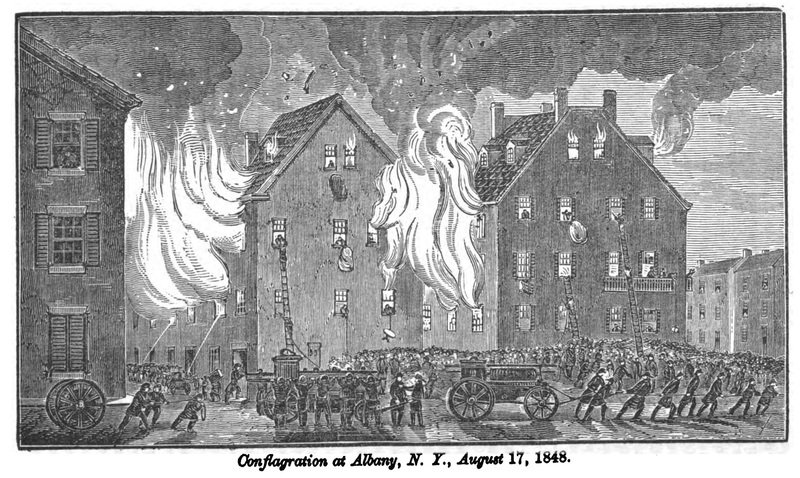 Thomas A. Starkey,” Albany Morning Express, October 26, 1858. [vii] “Church Excitement in Albany: Dr. Starkie Declines to Preach,” New York Evening Post, October 27, 1858. [viii] “Rev. Thomas A. Starkey,” Frank Leslie’s Illustrated Newspaper, November 22, 1879, 204. [ix] “Sermon of the Reverend Thomas A. Starkey, D.D.,” 61. [xi] “The Sermon of the Reverend William Prall,” pages 32-42 of The Semi-centennial Service of St. Paul’s Church. (Albany: The Argus Press, 1877), 33. [xii] “The Sermon of the Reverend William Prall,” 33-34. [xiii] “St. Paul’s Church,” Albany Morning Express, December 29, 1858. This entry was posted in Clergy, Deaf Ministry, Vestry, Wm. Ingraham Kip on July 6, 2016 by Paul Nance. St. Mark’s Chapel was the third and last of St. Paul’s missions, but there was one additional mission that was carefully planned, a building designed, a cornerstone laid, yet never served that purpose. You know it as the Church of the Holy Innocents on the corner of North Pearl and Colonie Street, but it began its life as the Chapel of the Holy Innocents, a chapel of St. Paul’s Church. When William Ingraham Kip returned from his medical leave in August 1845, he resumed the busy life he had left a year earlier, and the church continued to flourish. Two years later, in 1847, the increased size of the congregation was straining the available seating in the North Pearl Street church building. Consulting with his long-time senior warden, William H. DeWitt, Kip proposed to build a chapel in Albany’s rapidly growing North End, intending “to sustain it as a free church and mission.” When he referred to a free chapel, Kip meant a building which was conveniently located for St. Paul’s parishioners who lived far from the main church, and one which was financially supported without resort to pew rents. The clear intention, then, was to create what is known as a “chapel of ease” for St. Paul’s parish, not a church for a new, separate parish. Kip and DeWitt organized a subscription to raise funds, and started planning the building with a young architect, Frank Wills. DeWitt’s wife, Ann Covenhoven DeWitt, donated two lots for the building. These plans were derailed a month later by the massive fire of August 1848, which destroyed 439 buildings in close to 200 acres in the heart of the city. The subscription for a building fund failed. It was at this time that DeWitt volunteered to support the entire cost of the new chapel. William and Anna DeWitt had four children, all baptized at St. Paul’s Church. All died as babies or young children between 1830 and 1844. A heart-breaking note in our parish records, after the record of the death of the two boys within two days of each other in December 1844, reads: “the parents of these children are now childless.” The DeWitts proposed to fund the chapel as a memorial to their children. The couple could well afford this donation. William Henry DeWitt was a lumber dealer, and while we don’t know his wealth at this time, fifteen years later he paid taxes on income of about $36,500, the equivalent of almost a million dollars in today’s currency. The assistant minister whom Kip had chosen was a recently-ordained deacon, Sylvanus Reed, who had grown up at St. Paul’s and had been supported for ordination by the vestry. Whittingham must have accepted Kip’s invitation, because the chapel cornerstone was indeed laid on June 7, 1849, with Kip preaching in place of the Bishop, who was indisposed. You might ask why the Bishop of Maryland was presiding. Didn’t the Diocese of New York (in which St. Paul’s then resided) have a bishop? Yes, Benjamin Tredwell Onderdonk was bishop, but in 1845 he had been found guilty of “immorality and impurity” by the House of Bishops and suspended “from the office of a Bishop … and from all the functions of the sacred ministry.” New York had a bishop, but a bishop who could not officiate. Between 1845 and 1852 (when the first provisional bishop was elected), all episcopal services had to be conducted by bishops from other dioceses. 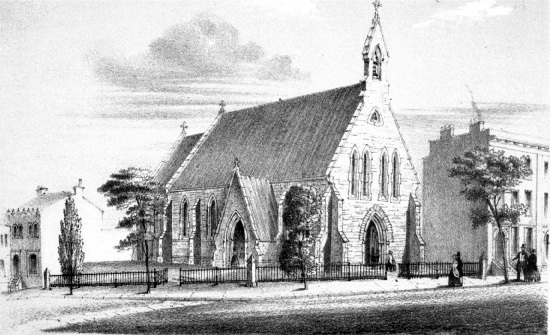 In his report to the Standing Committee of the Diocese of New York, Bishop Whittingham wrote: “On Thursday, June the 7th, I laid, with appropriate solemnities, the corner-stone of the Chapel of the Holy Innocents, designed for a free chapel of ease of St. Paul’s Church, Albany.” And through most of 1849, Holy Innocents is consistently referred to as a chapel. That changed abruptly in late 1849 or early 1850. The DeWitts had been members of St. Paul’s since 1831; William H. DeWitt had been a warden of St. Paul’s Church since 1837. But on February 16, 1850, the chapel was organized as the Church of the Holy Innocents, a separate parish in the city of Albany, with William H. DeWitt its senior warden. We will never know what prompted this change. Could DeWitt have felt that, having paid the entire cost of the property and the church building, he should have control of the enterprise? Did William H. DeWitt want Holy Innocents to be his own church? DeWitt’s interest in control is shown clearly in an unusual condition in the church’s incorporation “[a] reservation of a right of nomination to the rectorship, to the donors and their heirs (said heirs to be of the age of twenty-one years, and communicants in the P[rotestant] E[piscopal] church).” DeWitt wanted to be able to name the rector, and wanted to grant the same right to his heirs forever. We have better evidence for William Ingraham Kip’s view of this condition. Before the church was consecrated in September 1850, three Albany clergymen filed a formal objection to the consecration, specifically objecting to DeWitt’s control over the naming of a rector. Kip was not present at the consecration, which suggests that he was one of the three. But we also have a cryptic letter from the vestry to Kip, praising “your proceedings in the matter of the consecration of the ‘Church of the Holy Innocents’”. What those proceedings were is not specifically stated, but the vestry does praise Kip for guarding against “innovations” and “dangerous precedents,” which probably refer to the right of nomination. Bishop Whittingham discussed the objection with DeWitt, who agreed to modify the right, restricting it to the DeWitts’ issue (as opposed to heirs), limiting the number of nominations to three and requiring that the nominations “be exercised within a year from the occurrence of a vacancy.” Whittingham then consecrated the church, with no clergy from St. Paul’s present. As with the break with Trinity Church nineteen years earlier, the creation of this new congregation came at significant cost: the loss of William and Ann DeWitt. But the establishment of Holy Innocents did, indeed “promote the interests of religion in this City” as St. Paul’s vestry had predicted. 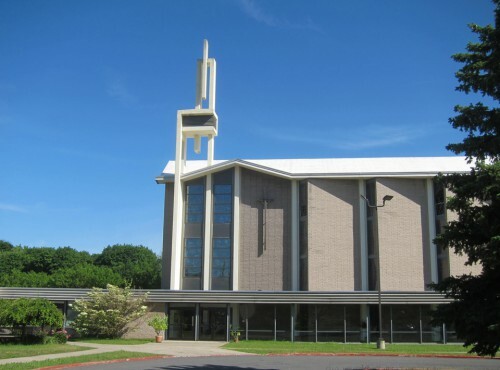 In its first home for almost one hundred years, and on Clinton Avenue for another seventy years after its merger with Grace Church, the congregation has been an important presence of the Episcopal Church in north Albany. The DeWitts’ gift still stands in its original location. Although the Russian Orthodox congregation that worshiped there for forty years replaced the traditional bell-cot with an onion dome, the authentic Gothic complex still creates the feeling of an English country churchyard on a gritty street corner. The building has been empty since 1983, and, to our city’s shame, has been allowed to deteriorate. While the collapse of a section of wall in May 2015 is particularly worrisome, we may hope that the city and the building’s current owner, Hope House, will be able to stabilize the structure, not only as a precious example of early Gothic revival architecture, but also as a reminder of its important role in Albany history. If the building cannot be saved, my hope would be that some of the stained glass could be rescued. According to the building’s National Register application: “the Bolton windows in the west facade and the chancel, and the two grisaille windows near the west end of the nave” were still “extant, but in need of repair” in 1978. They are the work of John Bolton (1818–1898), who collaborated with his brother William Jay Bolton. They represent some of the earliest stained glass made in this country using authentic medieval techniques. This entry was posted in Free Chapels, Wm. Ingraham Kip on October 24, 2015 by Paul Nance.